Norway is officially known as the Kingdom of Norway. It is a country in the Northern part of Europe and it occupies the western part of the Scandinavian Peninsula. The neighbors of Norway are Finland, Sweden, and Russia. The country is all the more famous for its extensive coastline along the North Atlantic Ocean and its famous fjords. Since the World War II, Norway has had rapid economic growth, and today it is amongst the richest countries in the world. This economic progress of Norway has been caused by exploiting the oil and gas reserves off the coast. It also now also rated as the most peaceful country in the world survey conducted by Global Peace Index. Norway is visited by tourists for more reasons than one and it’s not only the natural beauty of the country which allures travelers, but also the facility of getting to Norway. As this country is an integral part of the Schengen countries, so getting to Norway from any other Schengen country involves little or no border checks. The Oslo Airport Gardermoen is the largest airport in the country and is also the focal point for flights arriving from across the globe. Scheduled flights fly to 71 international destinations and 24 domestic destinations in Norway. Some other routes which were introduced are Naples (SAS Braathens), Madrid (Norwegian), Rijeka (Norwegian), Florence (Sterling), Palanga (FlyLAL), Saint Petersburg (Norwegian), Bourgas (Norwegian), Heraklion (Norwegian), Rhodes (Norwegian), Varna (Norwegian), Kos (Norwegian), and Ibiza (Norwegian). In Norway there is the Sandefjord Lufthavn, Torp which is a base for Ryanair. This airport offers flights to 14 destinations in Europe and 3 destinations in Norway. The Norwegian Low Cost Airline flies from Stansted to the main Oslo Airport, Gardermoen and the Bergen’s Flesland airport. KLM provides flights to Norway via Amsterdam Schipol, or you can catch flights from Aberdeen, Birmingham, Bristol, and Norwich. The train services are available from Sweden to Oslo, Trondheim, and Narvik. Oslo offers a daily service from Stockholm, regular night train from Gothenburg. In Trondheim, there is the facility of Nabotåget service from Östersund and in Narvik, two trains ply daily from Stockholm via Kiruna. NSB, the Norwegian State Railways, has also special facilities for the physically challenged and they have separate coaches for them. The international bus services connect Oslo and Sweden. The main operators are Eurolines, Swebus Express, and Säfflebussen Service to Gothenburg and Copenhagen. In fact, the service to Stockholm is also at more frequent interval than the train. You can also avail the minibus service between Kirkenes and Murmansk, which ply three times per day, as well as express buses connecting Sweden to Bodø and Mo i Rana, as well as Denmark to Stavanger. You can use the land route to get to Norway, from Sweden, Finland, or Russia by car. There is a daily ferry service run by Color Line from Kiel to Oslo. The ferry departs at 1:30 p.m. from Kiel and arrives in Oslo at 9:30 a.m., the next day. You will find the ferry terminal situated on Norwegenkai, within walking distance from Kiel’s main railway station. In Oslo, the terminal is at Hjortneskai. In fact, the ferry service from Oslo to Kiel departs at 1:30 p.m.
Norway is a cherished destination of the travelers. It would be good if you have your own vehicle to explore the various sights of this country, but if you don’t have one, need not worry as there are a wide range of options for getting around Norway. The rocky coastline here makes journey by roads and trains quite slow. Thus, in Norway you would find that the domestic flights are much popular. Among these, the largest operators are Coast Air, SAS Braathens, Norwegian, and Widerøe. In the smaller airports you may not find too many flights and also it can be expensive as well. Another fact is that the flights in southern Norway are much affordable than in northern Norway. The surprising fact is that even though this area has better roads and rail network, it will be more convenient for you to take a flight. You can opt for Widerøes, if you are flying to smaller towns in Northern or Western Norway. As far as the railways are concerned, the Norges Statsbaner (NSB) links main cities, even to the extreme north at Bodø. 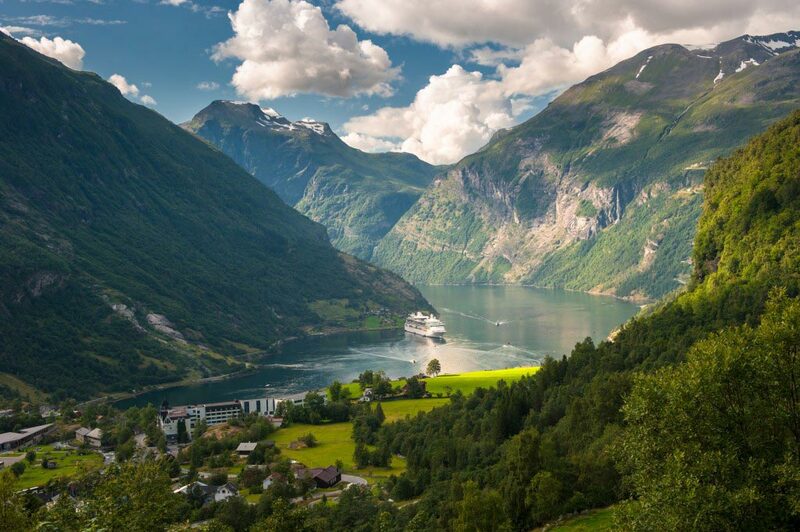 Though this mode of transport in Norway is not much popular as there is no rail connections between most of the cities on the coast because of the presence of fjords, but one thing you should know that traveling by train has a charm of its own as you enjoy breathtaking scenes. There is high-speed rail system between Oslo and its airport and you should be aware of the fact that long distance trains will need a prior reservation like from Oslo-Bergen, Oslo-Stavanger, Oslo-Kristiansand, Oslo-Trondheim, and Trondheim-Bodø . The ferry is very much included in the road network here because of the presence of fjords. The car ferries operate for the same. There are catamaran express boats shuttle between Stavanger to Tromsø coast. You can also avail the week journey from Bergen to Kirkenes by the Hurtigruten ferry, which is an enjoyable journey. A wide number of express buses connect cities all over Norway. The major operators are Norway Bussekspress and Timekspressen. Timekspressen also operates the Oslo-Drammen-Kongsberg-Notodden hourly service. The city bus system operates in the major cities. Other towns are linked by local buses. Traveling by car is an expensive option, but it helps in reaching the rural areas. Travelers from Europe can bring their own cars, though you need to be acquainted with some basic details like winter tires are needed here and required by law. Yielding from right is the driving rule in Norway. The road sign M means that two cars can pass on a mountainous road. Also, you need to turn on the headlight even during the day. 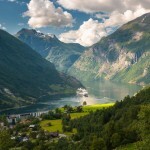 Norway attracts travelers, not only because of its breathtaking scenic beauty, but also because of many other attractions. Entertainment in Norway finds expression in a variety of things ranging from nightlife, events, and festivals, as well as a range of outdoor activities. In Oslo nightlife is concentrated in Rosenkrantz’ gate where you will get a wide variety of bars music pubs and clubs. You can also try out Karl Johans gate. The famous nightclubs to hit are Rebekka, Smuget, and Head On. Enka is the largest venue of gays. Bergen has a number of bars located on the harbor and Ole Bulls Plass like the Scruffy Murphy’s, Finnegan’s, and The Dickens Bar. If you have a penchant for listening to live music, then Banco Rotto on Vågsallmenning is an ideal choice. This is a café by day and an energetic bar at night. Rick’s Café og Salonger on Veiten offers bar, disco, and live music venue at one place. Maxime, Den Stundesløse, and Det Akademiske Kvarter are the popular nightclubs. There are lots of events to set the mood like the Polar Jazz, a jazz festival taking place at Longyearbyen in Svalbard. Lillehammer Winter Festival in February is also much popular with a variety of outdoor concerts, and snow and ice sculptures. 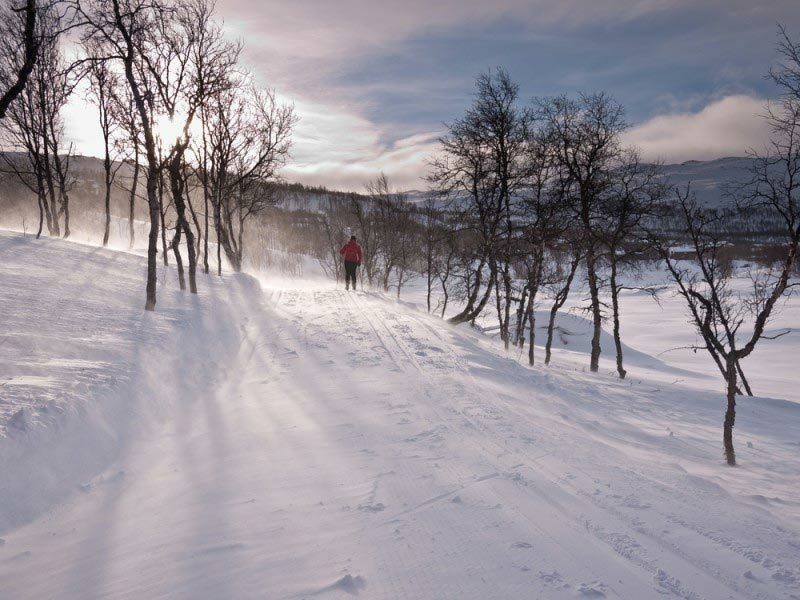 If you are a skiing enthusiast, then you cannot miss the Holmenkollen Ski Festival in February of the suburbs of Oslo well known for international ski-jumping competitions and Norway’s biggest amateur cross-country ski race. Stavanger celebrates Garlic Week in the beginning of April. Here you will find garlic in all shapes and sizes and there are also drag queens, garlic music, and garlic competitions. The Florø’s herring festival in June lets the visitors relish all kinds of herring dish served on the longest table in the world. The Shellfish Festival at Mandal is held in early August. You need to pay only the entrance fee and then have your fill from half-mile-long table. There are many other festivals celebrated in Norway like the Easter Festivals celebrated by the Sami in Kautokeino and Karasjok where you can enjoy concerts, theatre, art exhibits, snowmobile rallies, and reindeer races.The Bergen International Festival held in late May and early June is a great option for art lovers, as in this the artists from all over the world congregate. If you want to enjoy dance and concerts, then just see the North Cape Festival at Honningsvåg in mid June. A host of other events for entertainment and leisure in Norway are the Midsummer Night on June 23rd replete with picnics, boat parades, and bonfires. The Molde International Jazz Festival offers top performances. The Bergen Tall Ships Race is held in July and the Dragon Boat Festival at the end of May. The shops selling Norwegian handicrafts are popular with the collectors. You can also shop for items like furs, printed textiles, woven articles, knitwear, wood carving, silver, enamel, glass, and porcelain. Hunting and Fishing: Here you will find a wide variety of wildlife in the forests like moose, wild reindeer, deer, hare, grouse; and if you love fishing then you can catch cod, coalfish, and mackerel. Biking on the tough terrain of Norway has its own thrills. Skiing at Morgedal in Telemark.